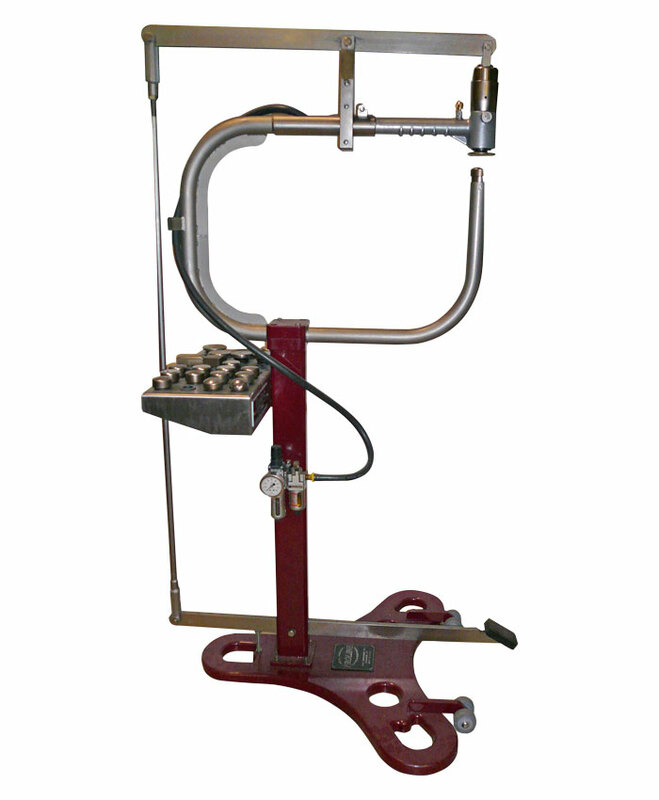 ProLine Portable Planishing Hammers are designed for forming or planishing light gage sheet metal shapes. The head can be used with or without the yokes. 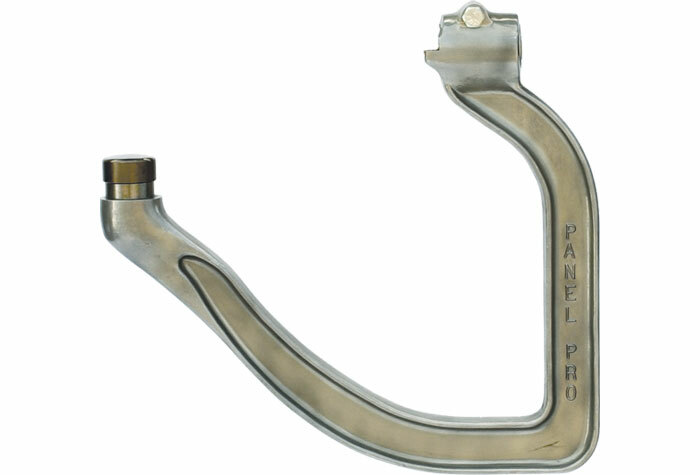 ProLine Hand Held Planishing Hammers take the "work" out of metal work and saves the experienced metal man hours of time, leading to increased production. ProLine Planishing Hammer Portable Model — Perfect for the hobbyist or professional who doesn't use a hammer all day, every day. Dies are interchangeable among all our hammers. Full Die set available at Special Price When Purchased with Hammer. Handheld yokes available to use with this hammer head. Throat depth is 22". 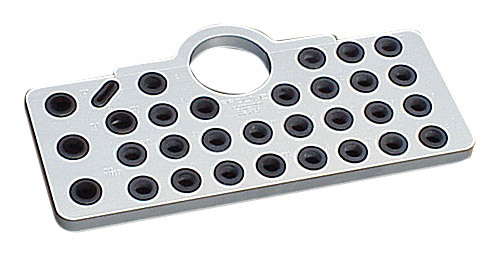 Also included with this unit is a 1½" top die, one each of a 36" low, 12" medium & 3" high crown bottom dies, a die rack, regulator and die wrench. 1½" diameter flat face top die. One of each of a low-36R, medium-12R & high-3R crown 1½" bottom die. 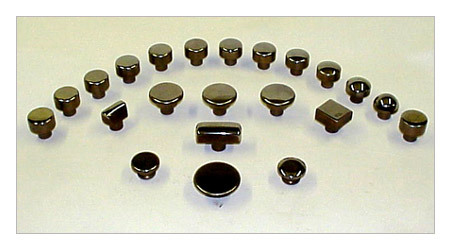 Other standard & custom dies are avaliable. You will be able to use this head with the aluminum yoke as a hand-held hammer, as well as mounted in the stand for shaping larger panels. Other yokes are available. Stands are avaliable to fit original CP hand-held hammers.